Science doesn’t just happen in big facilities far away. There is science happening right in your city. On May 13 the universities and the nature clubs, the industrial researchers and the backyard tinkerers invite you to come out and play with them at the free 10th annual Science Rendezvous. Every booth wants you to poke, pet, produce, prime, punch, or pedal to partake in the science they are excited about. There are things that explode, float, or twirl. There are technologies that make our modern world run, and technologies looking for new applications. There are ancient technologies like telescopes and modern ones like Frisbee-throwing robots. Out of the lab and into the streets, more than 6000 groups entertain over 300,000 visitors on this free day of discovery. Get a peek at state-of-the-art laboratories and research facilities, and get a glimpse into the career of a scientist. Meet animals, bike to light up an infrared camera, try the CSI tools, or map your own DNA. Each location is different because it is made up from the local community. The emphasis is on getting your hands into the action. Takeaways give you activities to do at home and ideas for ways to put more since in your life the rest of the year. While each festival location definitely has activities for the community’s smallest members, there are hands-on activities for people of all ages. Kids, it’s a great way to inspire your parents to try some cool experiments at home. From Inuvik and Vancouver to Windsor and St. John’s, there are more than 34 sites holding free festivals on May 13. Find a location near you on the festival’s webpage. I had a "Eureka" moment last night. It was probably triggered by my recently reading a comment by Isaac Asimov that the most exciting phrase in science is not "Eureka" but "That's funny ...". Unable to sleep, my mind turned to the apocryphal story of Archimedes getting into a bath and noticing that the water overflowed. Supposedly he realized that this effect would allow him to determine (without destroying it) whether the king's crown was made of pure gold or whether the maker had cheated the king by replacing some gold with silver. All Archimedes had to do was immerse the crown in a full container of water and measure the water that overflowed. That would give him the volume of the crown. Then, by doing the same with a lump of gold which was the same weight as the crown, he would know whether the gold crown had been adulterated with a less dense metal. And, supposedly Archimedes was so excited by this insight that he ran home naked, shouting "Eureka" ("I have found it"). My Eureka moment? The sudden thought that it seemed unlikely that Greek technology of the day would have made it a slam dunk to measure the differences in overflow water between pure gold and adulterated gold. Even less able to sleep, I got out of bed (not naked) and stumbled (not ran) to my computer. I looked up the densities of gold and silver and calculated what the difference in volume would be if a two pound crown were made of pure gold or 90% gold and 10% silver. It would be 2.25cc - less than half a teaspoon! Maybe not impossible for Archimedes to measure - but definitely not easy. Seems more like a "Maybe I can do this with a lot of careful work" than a "Eureka" moment. Something else suspicious about the story. It's not such an amazing insight that when you dunk something into water, the water level rises by the volume of the dunked object. (Assuming the object doesn't absorb water - dunking a doughnut doesn't do it). In fact crows are smart enough to use that knowledge to raise the water level in a jar. 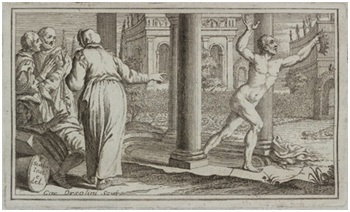 That's the basis of one of Aesop's fables, which were told about three hundred years before Archimedes was born. Archimedes would have heard those fables, which were written down in his lifetime - the third century BCE. until the water surface is high enough for him to drink from the jar. I did some more research. Archimedes wrote a lot about his discoveries but never mentioned the crown. The "Eureka" story was first written down two hundred years after his death by a Roman writer, Vitruvius. Others have also been skeptical about Vitruvius' story. 430 years ago, at the age of 22, Galileo writes a short paper called "The Little Balance". He not only writes about his skepticism but he describes how Archimedes most likely would have solved the problem. 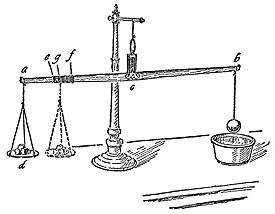 Galileo describes a hydrostatic scale which could have used to determine the composition of a crown. 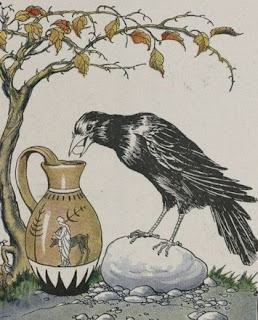 It's based on Archimedes' insight (not, as far as we know, shared by crows or even chimpanzees) that the weight of water displaced by an object exerts an upward force on the object. Galileo floats a guess at Archimedes' hydrostatic scale. The object being measured is on the right. It's balanced initially by the weight, d, on the left. When the object is immersed in water, it "becomes lighter" and the weight d must be moved to position g to balance it. The weight difference (which is the weight of the displaced water) can be read directly off wire coils wrapped from e to f.
And finally I could fall asleep. Lego Launches Women into Space Play! Count down to equal opportunity, on this planet and beyond. Lego has introduced a new set of figures that celebrate female space pioneers. They include Katherine Johnson (the subject of the Hollywood blockbuster, Hidden Figures, and my own upcoming picture book, Counting on Katherine), Mae Jemison, Sally Ride, Nancy Grace Roman and Margaret Hamilton. It's five small steps for womankind, and a giant leap for all! and was a pioneer in computer science. Faster Higher Smarter, by Simon Shapiro. Published by Annick Press. Inside Your Insides, by Claire Eamer. Published by Kids Can Press. Monster Science, by Helaine Becker. Published by Kids Can Press. 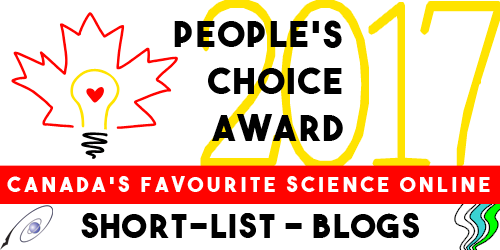 The other nominees are To Burp or Not to Burp: A Guide to Your Body in Space by Dr. Dave Williams and Loredana Cunti (Annick Press) and Dinosaurs of the Deep by Larry Verstraete (Turnstone Press).